Garages are close by, street parking available. Clarendon metro is across the street. 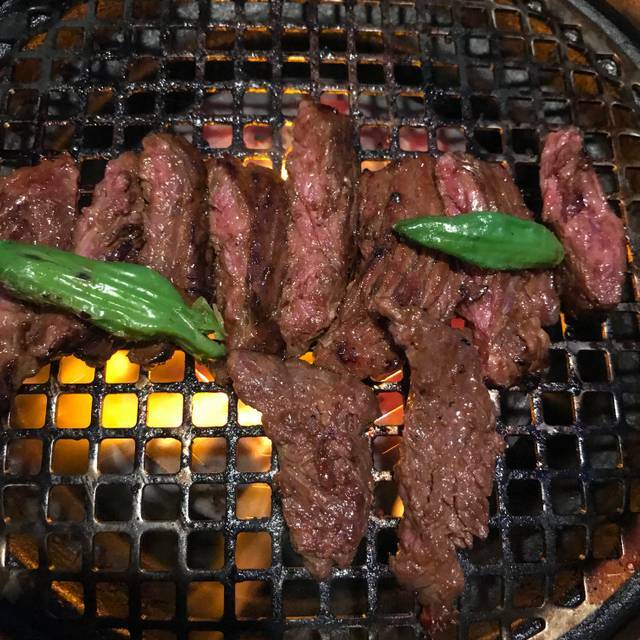 including the best-seller Harami Skirt Steak in Miso Marinade and Certified Angus Kalbi Short Rib in Tare Sweet Soy Marinade. 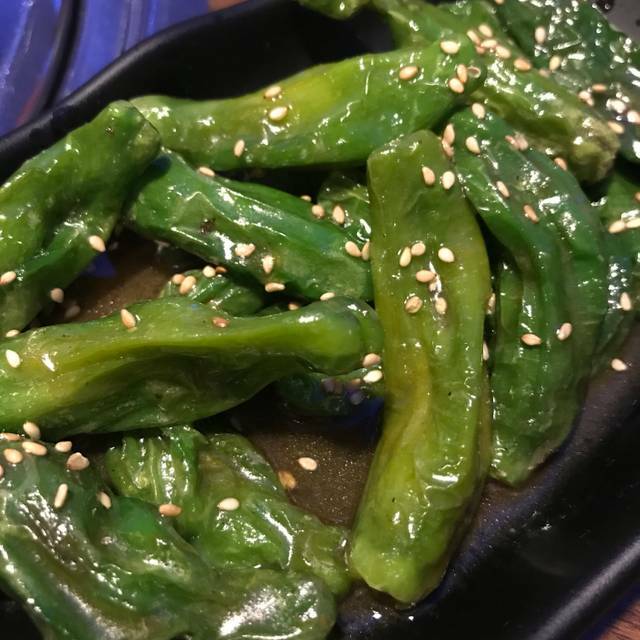 Refreshing seasoned seaweed, A classic Japanese dish! The quality of the meats were so good and the staffs were all so nice. Also this was for my birthday which my daughter and son-in-law arranged for me. The staffs sang birthday song for me. It was such a fun and delicious night. Great place to gather with friends. Tasty, flavorful meats, fresh shrimp, great marinades, and superb service! My friends and I were first timers and we all agreed that we would be back. A wonderful addition to the neighborhood? It’s a great place to try. Little pricey compared to the amount of food you get; you’ll probably have to order more than their specials. The food is super good though! Would recommend. 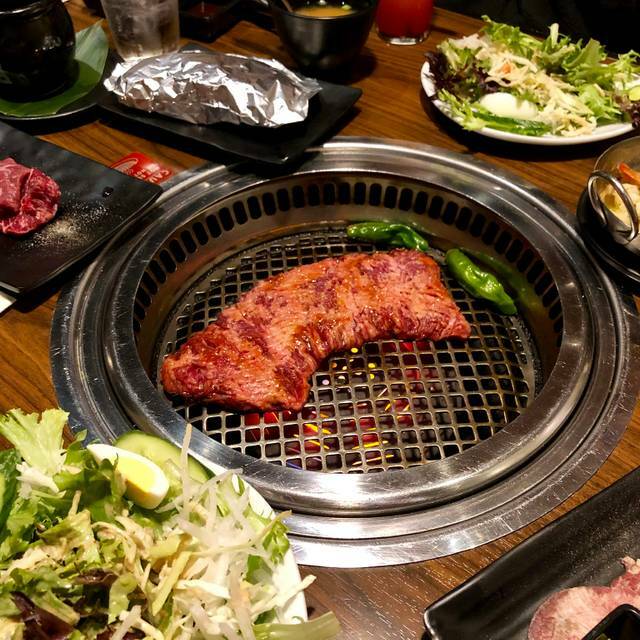 Good "intro to yakiniku." Went to Manhattan location years ago and I am happy there's something more local now. First time in DC/Virginia part! Loved the place. Always love the gyu gaku and will always eat if there is one in every area. The server and service is very good and friendly, don’t mind the noise as we are too! 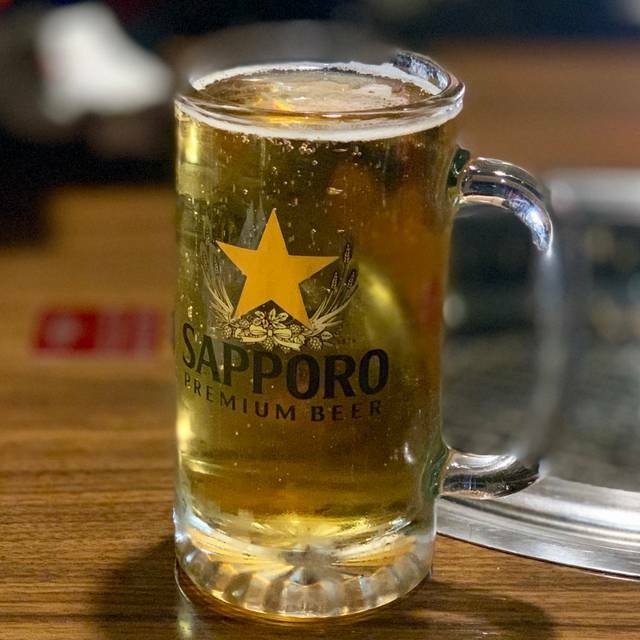 I love to hang out with friends in Gyukaku, and we drop by its Arlington branch once in a while to eat and relax. I hope our food could have served ina timely manner. The waiter did not seem to keep track on our order, since my friends and I had to keep asking him to serve food. We have no idea if we finished our meat before dessert, and the waiter did not seem to have any idea on this. I will be hesitate to come here again with my friends in the future if the service is not going to improve. By the way, all the meat we have this time is much salty than before( we basically order the same thing each time we go to Ryukaku). We got the "Samurai Course" for our party of four. It had a nice variety of meats and side dishes, which were generally good. The staff were very friendly and created a fun atmosphere. They were very helpful in providing exact directions for grilling each type of meat. Get the beef bacon and shishito peppers. Both are truly delicious. Also the happy hour is worth it too. Meat was pretty good, but the service was terrible. Had to wait 20 min beyond reservation time with no apology. When I complained there was push back without an apology again (they can’t control other guests overstaying, etc etc). While this is true and may influence reservation times, it is incredible how far a simple apology can go. The service was also very slow and no effort was made to be nice until the check came... a clear effort for tip at the end always annoys me. Great place, food is really good. I have no complaints what so ever. I will definitely be back. Nice dinner! We love the environment and the dishes. Since we make reservation on open table, we save a lot time on waiting. Foods are great. Kobe beef is one of the most impressive ones! What a cool experience. We will definitely be back to take the kids because it is a great family event. Also good for a date night. You can sit next to you significant other and have a great evening chatting and cooking. Gyu Kaku is the best bbq in the DMV. Outstanding service and food. This place never dissapoints. So firstly I should say I do not eat meat - only seafood - so this is a review of seafood and veg only. I was looking forward to trying this restaurant with all the good reviews etc. Unfortunately I don't think it's a good choice for anyone who does not eat meat. The prawn and calamari servings with small and honestly the main meal was kind of average. It wasn't bad by any means -just average - not terribly exciting re: taste or experience. I think if you like meat - and perhaps try one of the multi-meal deals with a group - you may enjoy it far more, but I don't think I'll be in a hurry to go again. Our waiter wasn't the best either. Not the worst, just didn't have a great experience. Their drinks happy hour at the bar is a great deal though - and goes to quite late. 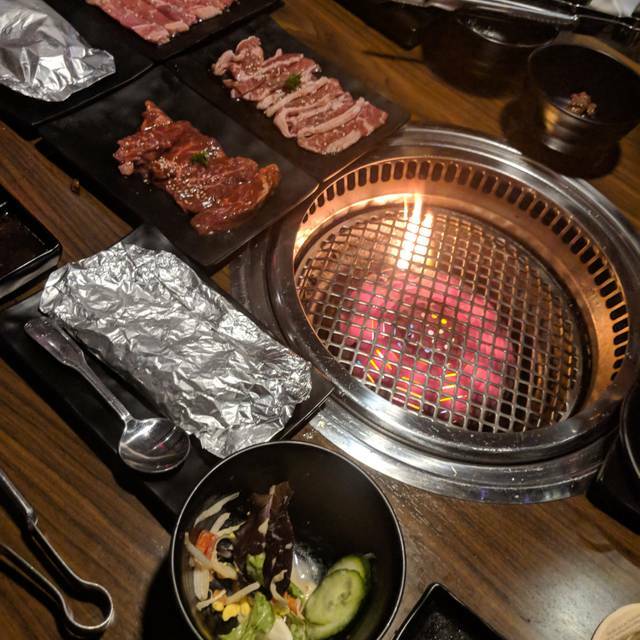 This was my first time trying Japanese bbq and it was such a wonderful experience! The food and service was on point! They tell you exactly how long to cook the meat and always checking up on you to make sure everything is ok. Parking was a bit tricky. It’s all street parking. Too loud, server was very slow, but the food was good. Making a reservation didn’t do anything since we had to wait 20 mins to be seated. Very good and tasty! Plenty of choices in the menu. The waiter only came to our 4-people table to check if we need anything else for once or twice. When we asked waiters to bring us 4 folks for our cakes, we waited for about 20 minutes. We're celebrating birthday for our two relatives; however, I do not feel we're welcomed. When I used to dine in Gyu-Kaku in NYC and Boston, the staff there were amazingly friendly and helpful! 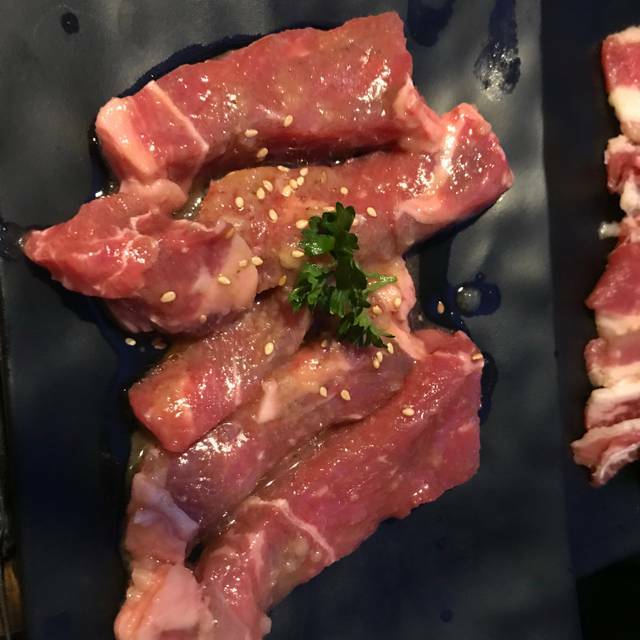 I was so disappointed by Gyu-Kaku in Arlington. When waiters handed the dishes to us, the sauce was sprinkled once and the sausage was dropped on the dining table once. However, the waiters did not even say a 'Sorry' to us!!!!! More importantly, the waiters did not clean the dining table!!!!! Just leave the sauce sprinkled anywhere in the table?!? When we checked out, the waiter just took away my cell phone to scan the $10 off coupon... 10 minutes later, he did not come back.. So I had to find him myself... This is really unprofessional and impolite!!!!!! Taking away customers' cell phone for 10 minutes???? What if my personal information was seen or copied by the waiter during this period??? This is definitely the worst dining experience I have ever had in my life. Overall, food is good, but the customer service provided by Gyu-kaku in Arlington is so bad! 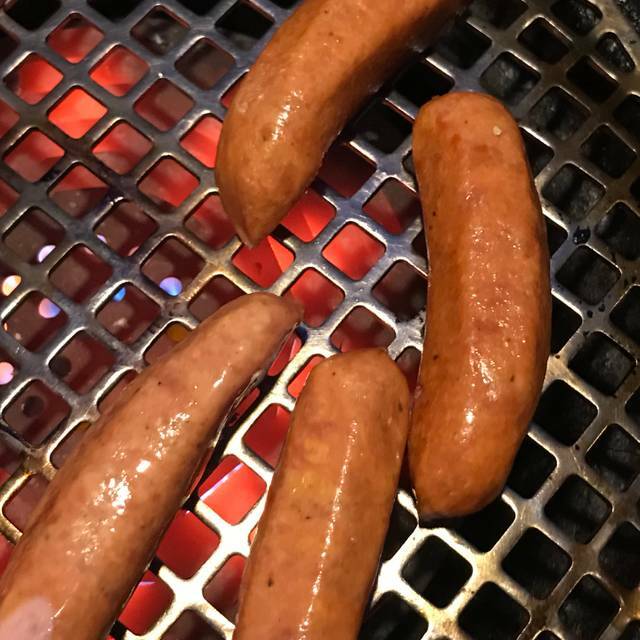 I would recommend my friends to dine in Gyu-Kaku in NYC or Boston! My husband and I were disappointed. It was ok but definitely is not outstanding as the yelp review suggested. It is probably a novel idea for someone who never experienced table side BBQ. 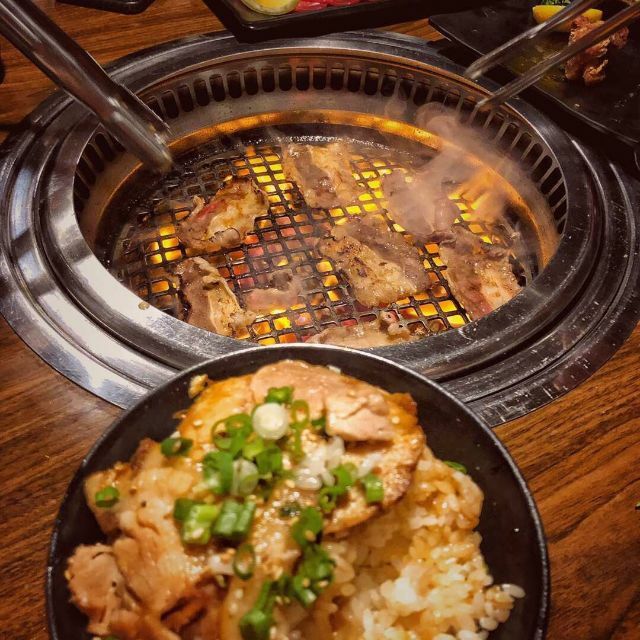 We frequent Korean BBQ restaurants in the area and did not think that Gyu-Kaku was better in taste or value. The restaurant advertise gluten-free options, yet for items such as a spicy cucumber side or spicy cabbage salad, which you'd expect that can easily gluten free, they are not. Luckily our waiter checked for us. Our 2nd visit was even better than the 1st. Our party of 5 had the Gyu-Kaku and the Meat Lover, spicy cucumbers and butter miso salmon. The meats are fresh and of high-quality, and the salmon was sweet and melt-in-your-mouth tender. Everything was flavorful and delicious. We also had Lady M mille-crepes cake and ice cream. Devine! Ever since I did Japanese BBQ while I was in Tokyo I had wanted to find a place to go in or around DC. Gyu Kaku was the only place I could find that was truly Japanese and not a Korean grill-your-meat establishment. We had a lot of fun and overall the experience was great, food was delicious and I would certainly go back. However, when we do go back we now know a few things we would do differently. We had asked out server if each ordering 1 or 2 servings of meat would be enough because the price fixed menu shows much more than that and we were going the a la carte route. He told us that 1-2 orders of meat/veggies per person would "absolutely not be enough" and he recommended at least 2 orders of meat and one order of veggies per person as well as 2 sides and 2 appetizers to get enough food. So we did just that and ended up with WAY more than we could handle. You don't eat as much meat here because there is no easy way to cut the meat with chop sticks so you're slowed down a bit. The sides of garlic fried rice and garlic noodles were delicious. The avocado salad was honestly inedible for me and the meat was good, I'd prefer it to be a bit thinner, we just had way too much. Next time we go we will probably spend half the amount but also have a more fitting portion of food. We took home the left overs, but it was much better eaten at the restaurant. Everything was good except kimchi. We had to wait 30 minutes to be seated at a table for a reservation we had made. Upon arrival, I had shared with the hostess that it was a birthday dinner and we had brought cupcakes, was that okay? She told us that it was okay and seated us. At the end of the dinner, we noticed a $15 cake fee on the bill that had not been explained to us. Had we known that we would need to pay to eat the cupcakes, we would have just had them back at our house. When I explained this to our server she was kind enough to take it off as we had not been informed but the hostess about the charge but the lack of communication was frustrating. Noisy, could use something to absorbe the noise . The food was good and the service is also good. They have lady M cake! 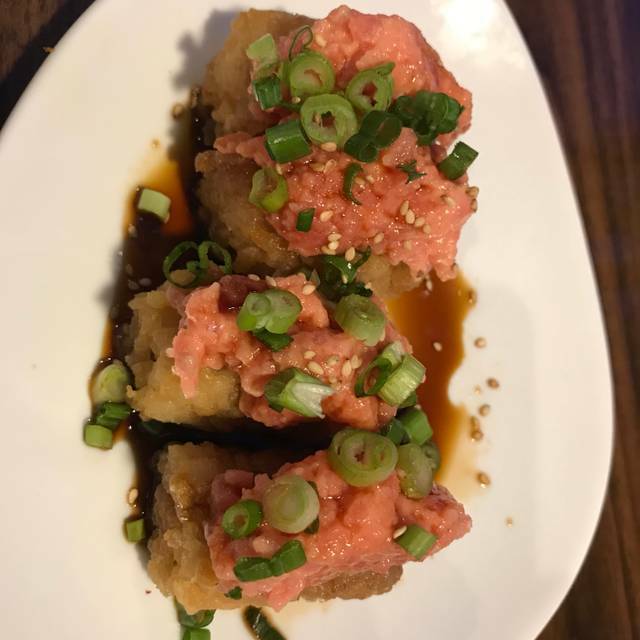 Summary: The food and the experience was great—can’t wait to go back! Food: The food was delicious. We (my date and I) ordered the “Meat Lover’s” course, which is designed for two people, but three people could share it and probably be full afterward. We also ordered beef tongue, which I very much enjoyed. Service: Our server was polite and friendly, and was attentive with replacing the grill net periodically! Ambience: The place was completely packed, so it was pretty noisy, but at no time did I have trouble hearing my date. I credit this to the generous spacing of tables (most DC restaurants are so tightly spaced that a similar noise level would make conversation difficult). Value: For the money, you get easily more food than you can eat. I’d say this restaurant provides an excellent value, especially given that, at many restaurants in the DMV, a similar price will still leave you hungry.